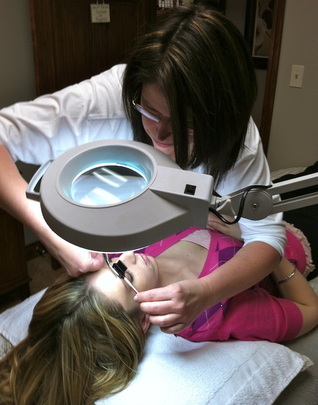 Your facial begins with a skin reading to determine your skin type, goals and concerns. 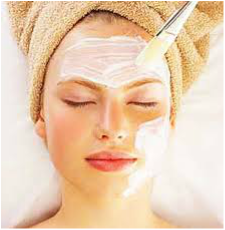 A deep cleansing with exfoliation is followed by a relaxing facial massage and moisturizer. All Facials are complete with sunscreen application. Custom blended peels, enzymes & serums are designed to meet the specific needs of your individual skin type. As a treatment or added to our facial, the active ingredients in each will boost cell production and improve overall skin appearance and health. A synergy of effective acids designed to have a transformative effect, reducing the appearance of freckles and acne. Enzymes boost the transformative effect by breaking down and removing skin cell build up, reducing the appearance of freckles and acne. Retinol – Vitamin A is a powerful antioxidant with the ability to reverse photo-aging. It helps skin retain softness, reduces depth of wrinkles and helps speed the production of collagen. Vitamin C – possesses antioxidant properties and soothes inflammation. It also delivers anti-aging and brightening properties. All Bridal Applications Require A Trial Service & Are Priced Upon Consultation. Air-Brush Make-Up provides flawless high definition coverage by minimizing skin imperfections that can last up to 18 hrs. Perfect for Weddings, Prom, Special Events and Photo Shoots.